What Do The Imminent 2018 International Code Updates Mean For You? The 2018 International Code updates are just around the corner, but don’t panic just yet! History has shown that the rush to get building permits may not be necessary. It was nearly this time last year that architects with California projects were scrambling to complete construction documents in order to submit building permit applications by December’s end. This effort was based on the expectation, or perhaps the fear of the unknown, by builders of the anticipated adoption by local jurisdictions of the 2016 Title 24 California Building Standards Code and the potential negative impacts that may occur if projects were submitted under the new code. In many cases this concern was not founded on a projected cost analysis or potential schedule impacts relative to the proposed new code changes, but rather a general reaction to the onslaught of news and rumors of new stringent requirements leading to the “net zero” energy mandate for residential construction by the year 2020. Architects could have simply advised their clients to ignore the pending code change; based on the fact that the new code was enabling builders to construct homes with increased energy efficiency and greater sustainability. At the end of the day, we have an obligation to our builder and developer clients to realize their project vision, goals, and successfully achieve them within the previously agreed upon framework. It is certainly not a prudent business practice to assume or advise for a future risk without definitively knowing what impacts the new code may have on a project, including lost schedule time and additional costs for redesign. It is beneficial to know the relationship between the two codes, since builders using either code can learn from previous issues of the other code. The International Codes serve as the “Model Code” that is adopted or amended by governing jurisdictions at the state and/or local levels. 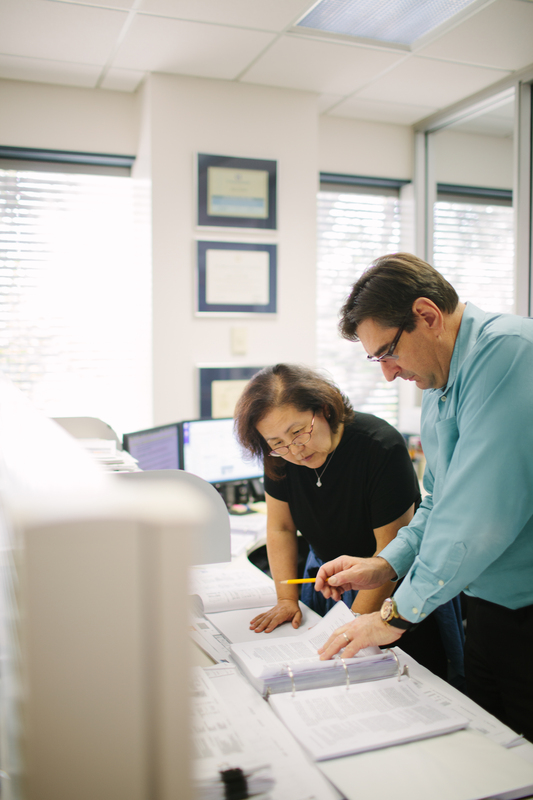 The “Title 24 California Code of Regulations”, which regulates the construction industry in California, uses this model code to derive and publish the California Building Standards Code (CBSC). As an aside, the term “Title 24” is often misused in the industry to refer strictly to the energy calculations, but that is an error. Both the International Code and the CBSC cycles currently run every three years and are updated quarterly. The CBSC is issued in the year prior to the International issue. As it may appear that the CBSC is one year behind, it can also be perceived as being two years ahead. Thus, as the cycles continue to leap frog each other, some code changes pioneered in a Title 24 code cycle will find their way into the next International Code cycle, and vice versa. We now find ourselves here in November and the 2018 International Codes are scheduled for official release by the International Code Council (ICC) with pending adoption by local jurisdictions starting January 1, 2018. I suspect some home builders are currently scrambling to complete and submit construction documents for same reasons I mentioned above. However, before you press the panic button and while waiting for the ICC to officially release their “Significant Changes” publications, here is a brief overview of some of the architecturally significant code changes you will find in the 2018 International Residential Code. • Common walls between townhouse units shall be constructed as two separate 1-hour rated walls, or a 1-hour rated wall (sprinklered); or 2-hour rated wall (non-sprinklered). No vents or plumbing stacks are allowed if it is constructed as a single wall. • Exceptions for membrane penetration firestopping expanded to include listed light fixtures in ceilings. • The minimum fire separation distance for a non-sprinklered, 1-hour rated exterior wall has been reduced from less than 5 feet to 0 feet. • Detailed design parameters replace generic ones for glass baluster guards. • New exceptions are provided to eliminate emergency egress from sprinklered basements. • Mezzanine design expanded to “1/2 of room below” from 1/3 ratio when sprinklered. • Exterior wood decks shall be constructed of preservative treated or naturally decay resistive lumber. • Expanded structural design requirements for deck posts and foundations. • Seismic structural design provisions added to allow for application of two-story stone veneer. • Expanded requirements added for roof ventilation, vapor barriers and vapor diffusion. • New criteria added for provision of underlayment requirements for photovoltaic shingle roofing and for provision of building-integrated photovoltaic roof panels. • New section to add provision of insulated shields in factory built chimneys when passing through insulated assemblies. • Log homes now added to exception for compliance with prescriptive thermal envelope design requirements. • New criteria added for installation of R-30 roof/ceiling batt installation to eliminate compression of insulation. • R-5 insulation to be expanded to cover entire heated slab area instead of slab edge only. • Maximum allowable fenestration U-factors are decreased in Climate zones 3 through 8. • Ductwork in attics are required to be insulated or buried within insulation or entire attic shall be insulated. • Maximum energy rating index values reduced for all climate zones. With a look back to the 2016 CBSC release and a little bit of due diligence, we can (hopefully) prevent any panic associated with the impending International Codes updates and make more informed decisions on whether there are any advantages associated with rushing to obtain building permits. Joe Wicentowich is an Associate and Senior Project Manager at Danielian Associates Architecture + Planning. He may be reached at jwicentowich@danielian.com.